Sleep and stress, they may just cancel each other out. How can we expect our nervous systems to shut down when we’re a bundle of nerves? We need sleep. It keeps us healthy, it keeps us sane, it keeps us focused, it keeps our weight down. By that logic, lack of sleep is going to turn us into sick, obese, insane people with attention deficits. That certainly is not going to relax you. So what do you do to keep stress from disrupting your sleep? Read on for a few ideas. Not only does stress prevent sleep, it decreases its quality. In fact, according to a “Stress in America” survey, 42 % of adults report a low or fair quality sleep when affected by stress. To make matters worth, stress may not only deprive you of a good night’s sleep, it may have a more lasting effect. Recent research published in the SLEEP journal reveals that individuals who suffer from chronic stress are more susceptible to insomnia, with each stressor increasing the risk of insomnia by 19 percent. Not only does stress interfere with the quality of sleep and increase the risk of insomnia, it also places the nervous system in a physical state inconsistent with sleep. When you sleep, your body switches from the active sympathetic nervous system to the more relaxed parasympathetic nervous system. When the body experiences high stress levels, the parasympathetic nervous system fails to kick in, keeping your brain in a state of hyperactivity, according to David Spiegel MD. As if it isn’t enough that stress causes lack of sleep, it turns out lack of sleep can cause more stress. The Anxiety and Depression Association of America reports that nearly three quarters of adults credit sleep problems with a general increase of anxiety in their daily lives. Studies show that lavender can be a very relaxing component of insomnia relief. There are a number of techniques that may be helpful in decreasing stress. 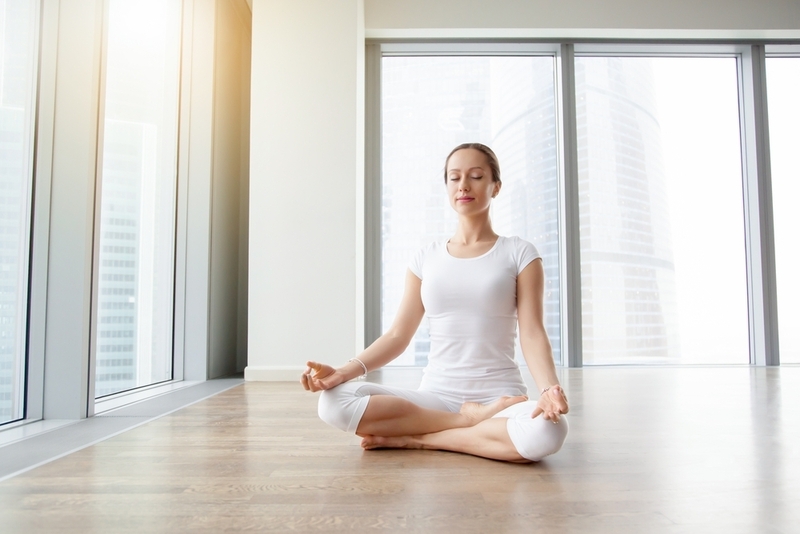 Yoga poses, mediation, and progressive relaxation are all examples of methods of relaxation that may make sleep come more readily. Research shows that you can clear your mind of distressing thoughts by writing them down on a piece of paper and literally throwing the paper away. Skeptical? Worth a try! The rhythm of inhalation and exhalation activates the body’s natural parasympathetic system. Try taking a few deep breaths in and out before hitting the sack. If all else fails, consider seeing a professional. He or she may be able to provide insights or recommend techniques such as cognitive behavioral therapy to address sleeplessness. How do you prevent stress from disrupting your nightly sleep? Let us know.